Financial Regulation Matters: Institutional Investors Answer the Growing Call for Increased Social Responsibility, But Is It Enough? Institutional Investors Answer the Growing Call for Increased Social Responsibility, But Is It Enough? Today’s post looks at the news that a number of extremely large institutional investors have joined forces to call for action to be taken against the tobacco companies, all for the good of societal health. For this post, the focus will be on that particular call, but also on the development of institutional investors championing social causes on the back of a concerted call from their members, together with the relative success of investors and large firms that fully commit to that ideal. However, it is important to assess whether this move by the industry is genuine, or simply a reaction to societal pressure which, in turn, shields the investors and the financial sector moreover from criticism. 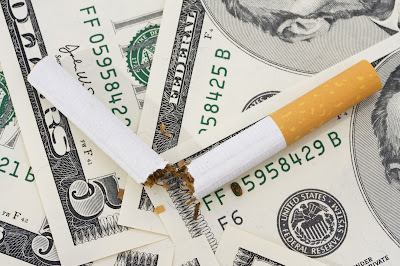 In April of this year, it was reported that four major institutional investors – Axa, CalPERS, Scor, and AMP Capital – were calling on their fellow investors to publicly back efforts to divest from the tobacco sector, stating that they wanted other investors to join them in supporting ‘global action against the tobacco epidemic and its significant cost to society and development’. Axa’s Head of Corporate Responsibility, Alice Steenland, was quoted by the Financial Times as saying that ‘there is real momentum’ in this move to divest, and more recent news seems to confirm this momentum Steenland talks about. Since the four investors tried to rally support for the pledge, ‘more than 50 companies managing $3.8 trillion of money… declared support for “tobacco control measures”’, which has subsequently led to the consortium of anti-tobacco proponents pressurising the fund managers of UK Local Authority staff, which The Guardian suggests still own at least £1 billion in tobacco stock – 28 Local Governments are registered as owning stakes totalling over £700 million in British American Tobacco (BAT) alone. The article in The Guardian discusses how one of the obstacles facing the fund managers is that they are legally obliged to prioritise the maximisation of investment above anything else, which rules out divesting on societal health grounds – in reality, the mass withdrawal from the sector will harm that aim of maximising anyway. Yet, the heads of the leading investors are adamant; ‘action must be taken to combat the enormous human costs of tobacco’. The sentiment offered by the leading investors, one that looks to include a serious consideration of external factors in the decision making process of fund managers, is just one component of a growing wave of socially-responsible finance. Currently, Shell’s shareholders are in the process of voting as to whether to enforce new climate change goals upon its management, and Exxon Mobile’s shareholders have just undertaken an ‘historic’ vote to enforce their management to declare how the company’s business impacts the environment. With regards to the vote at Exxon, one of the leading proponents of change was the ‘Church Commissioners’ group that manage nearly £8 billion of the Church of England’s assets and who recently recorded headline-grabbing profits by following this ideal of responsible and sustainable investment. This is in addition to the development this year of the failed takeover attempt of Unilever, which as discussed earlier in Financial Regulation Matters, brought the notion of responsible business versus predatory business to the fore. Yet, as is always preached here in Financial Regulation Matters, we must remain inquisitive and pessimistic at all times – history dictates it. With that in mind, we must ask whether the recent media attention given to these issues is forcing through a phase that will pass once the economic malaise of the Financial Crisis truly departs from memory. The question of whether this recent movement towards sustainable and responsible finance is purely reactionary, or whether it is a movement that is here to stay, is a very important question indeed. On the one hand, investors must be applauded for seeking to divest their stock in companies that negatively affect societal health i.e. tobacco companies, but by the same token should they divest their investments within the alcohol industry also? Or, on a much grander scale, should they divest their positions within leading financial institutions like Goldman Sachs, RBS, and the many other institutions that brought the world to its knees in 2007/8? Yes they must be applauded, but the breadth of their intention must also be scrutinised. Whilst it is appealing and comforting to suggest that this is not a phase, but the ‘new normal’ when it comes to institutional investment patterns, there is no evidence to suggest that is the case – in order to maximise returns for clients, fund managers must move with (and preferably for them ahead) of the economic cycles, which suggests that attaching oneself to an ideal in finance is not possible; they have already attached themselves to an ideal that has worked for them for an awfully long time – maximise profit at all costs. A cynical take would be that this movement towards responsible finance provides the fund managers with plenty of reputational capital with which they can seek to take increased risks the next time the carnival comes to town; let us hope that this cynical viewpoint is not, in reality, the correct viewpoint.